Chris Batty just goes all out and turns his vintage photos into aliens. I don't know if he actually uses Photoshop but I like the fact that he does art on his photographs. 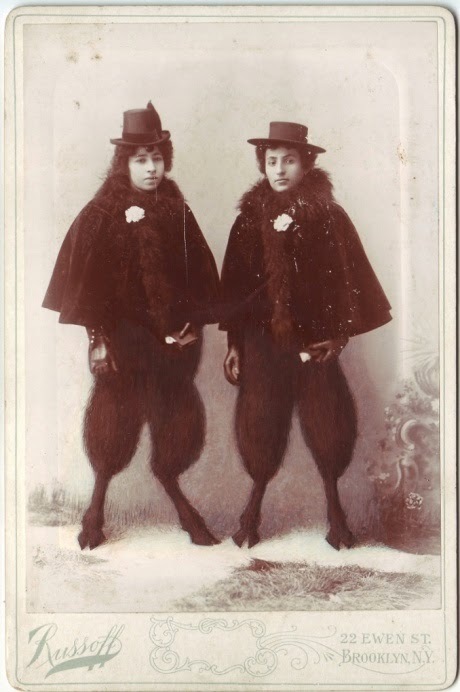 These fauns are one of the more toned-down ones but I liked the contrast with the picture lower down. Courtesy of the Guardian where you can see a few more creepy Chris Battys. Ransom Riggs collected vintage photos which were already creepy, perhaps because the original photographers were experimenting with creepiness using every technique at their disposal. It was one of the things they did. 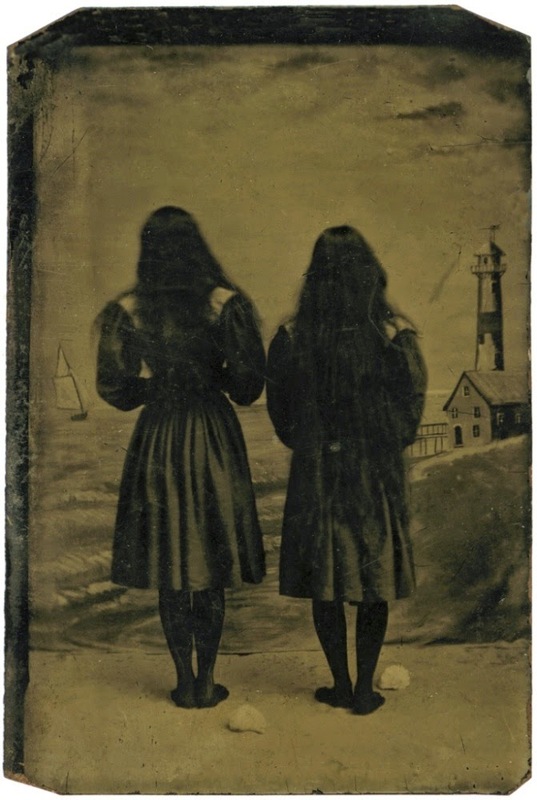 Riggs used some of the images in his collection as inspiration for the characters in his novel Miss Peregrine's Home for Peculiar Children. From Rigg's Huffington Post article.